Star Trek is a TV series that managed to reach cult status and it continues to impress and immerse people from all over the world many decades after it aired. It spawned many new stand alone series and movies, but also dozens of Star Trek games throughout the past 30 years.Some of these were not only good Star Trek games, but also amazing titles on their own, regardless the IP. With that in mind, here’s the list of top 10 Star Trek PC games of all times that you need to know about! 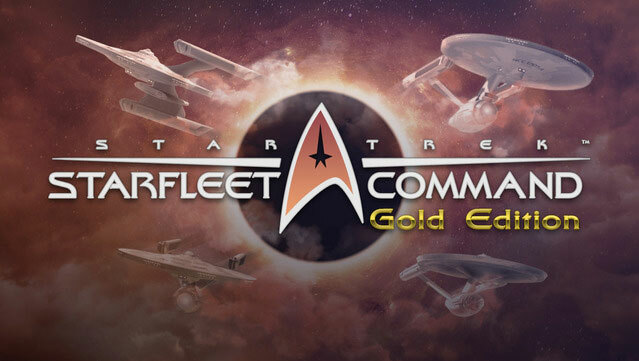 You can get Star Trek Starfleet Command Gold Edition on GoG.com. As a Star Trek MMORPG, this is one of the few Star Trek games that still receive constant updates and content. As it was released in 2010, I actually got a life time membership as member of the press, and the game itself was initially pay to play. However, like almost all MMORPG of the time that aimed to “kill WoW”, ST:Online has soon switched to free-to-play mode. On the positive side, it managed to survive and still be around almost a decade later. A quite decent number of fans that play it still have the good fortune to see regular content updates and game improvements. Star Trek: Online allows you to command your own ship, complete quests and interact with enemies as well as other players. There are two combat systems in the game. In true Star Trek fashion you can beam your characters to various worlds and planets, but you can also engage in ship battles, which are very intense and fun at the same time. You can enter admiralty missions later on in the game, as well as follow a huge range of assignments. All the time you gather better equipment, many of it specialized for specific tasks, unlock new ships and level up your officers. In short, there is always something to do in this game. You can play Star Trek Online via Steam for free. 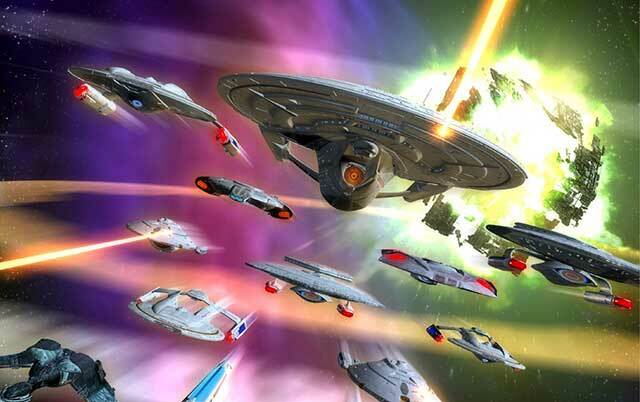 Star Trek Armada is a real-time strategy game that allows you to take the role of any major faction in the Star Trek universe and expand its reach as much as you can. It is based on the The Next Generation setting and allows player to engage in a RTS type of combat on limited size maps and linear mission progression through the campaign. You can play as Federation, Klingons, Romulans and our favorite egalitarian faction of all time, the Borg! Build ships, mass your fleets and engage the enemy in this fun and very well balanced RTS! Bridge Commander is unique because it allows you to simulate the day to day life of a Star Trek crew. 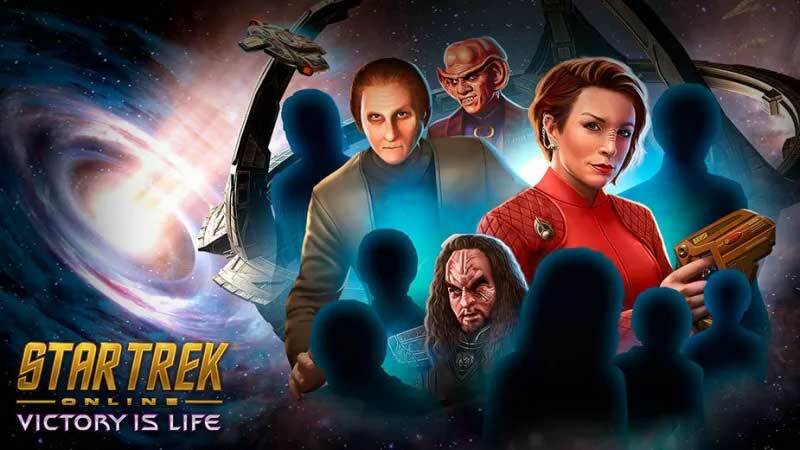 You get to explore the universe, face mysterious threats but also encounter familiar characters such as Data and Picard. You will control the USS Dauntless here and the USS Sovereign as you try to prevail against the new threats in the universe. Like many Star Trek games in this list, this one also has two gameplay styles. You have the quick battle mode and the story mode, engaging enemy ships either through the screen view from the bridge or through the external view. One of the beauty of this game was a hands on feeling of aiming phasers and strafing them across the enemy ship’s hull. It gave you a succinct experience of being exactly in the middle of a live battle in Star Trek, something that the fans of the show enjoy very much. 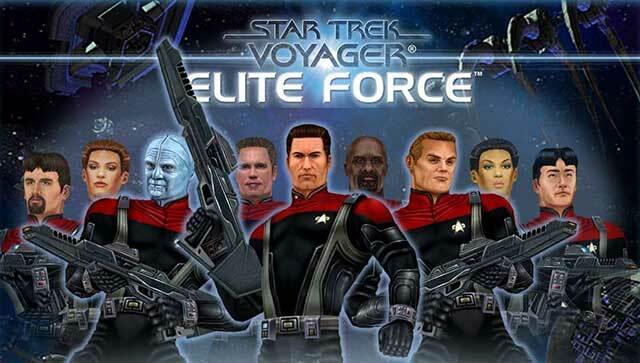 Star Trek Voyager Elite Force is one of the best shooters of its time and definitely one of the best Star trek games ever made. In Elite Force you play the role of a hazard team member and have to deal with very complex, hostile environments and situations. Voyager is trapped in a starship graveyard and it’s under attack from multiple factions. You must protect the ship while also trying to identify what caused all this trouble to begin with. An interesting thing is that this is one of the first games that licensed id Tech 3. Although the game performed incredibly well for its time period, it has unfortunately aged quite ungracefully. If ported to a newer engine, I am certain it would be a very decent hit today as well. Unfortunately, I couldn’t manage to get the game running on Windows 10, or any other compatible mode. I guess it will remain in the annals of history as one of the best Star Trek (FPS) titles. 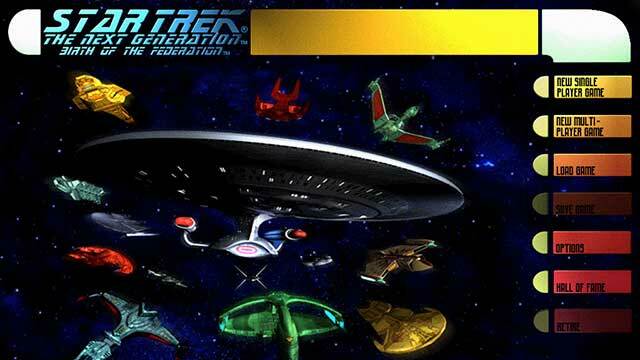 Birth of Federation stands out in the top 10 Star Trek PC games of all times as the only 4x strategy, something that the franchise has rarely explored. You can control either the Federation, Cardassians, Romulans, Klingons or Ferengi. As you can imagine, the focus is to expand and eventually control and domiante the other factions in order to win. The AI is very good for this type of game, not to mention that the engine was revolutionary at that time. Almost everything in this game was impressive, with the sole exception of the tactical fleet battles. Players had no control over those and they were never anything more than animated auto calculations. However, on every other front, this game was a true gem. NOTE: Since we are talking about 4x strategy in Star Trek universe I would like to point out to you an incredible mod for the game Stellaris called Star Trek: New Horizon. Getting the Stellaris game pays off for this mod alone! Dominion Wars offers an interesting combination of space combat simulation and real time tactics. Player can control up to 6 ships at a time and will need to complete various missions assigned to them. As you complete mission you earn credits and these can be used to acquire new ships, bringing upgrades to your ships or getting more experienced officers. 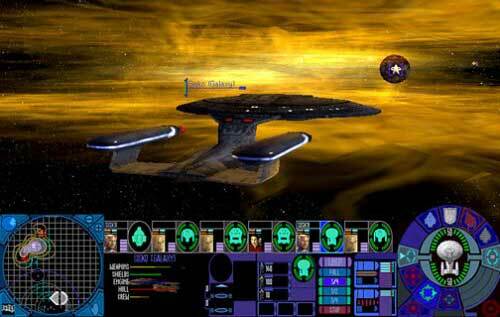 The game was directed towards highly replayable tactical ship-to-ship combat, pretty much like Starfleet Command. Star Trek: Borg is distinct because it’s actually more an interactive movie than PC game. This game was made in time where many thought that interactive game/movies were the future; anyone remember Wing Commander 3? The story is set in the middle of a Borg invasion and you get to know a lot more about the race and how they lived. 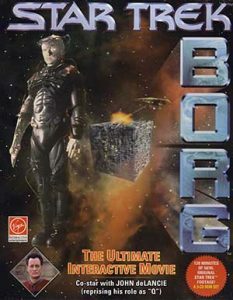 An interesting thing to note about Star Trek Borg is that it does have John deLancie as he reprises his role as Q in the game. In fact, it is all about Q and you and the way what kind of decisions you are going to make. 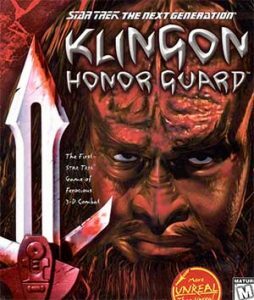 Star Trek: The Next Generation: Klingon Honor Guard is one of the best FPS games in the Star Trek universe. It was released in 1998 with very good graphics for the time, not to mention a great story. You are given a mission to foil a plot to assassinate Chancellor Gowron. Player had the chance to explore new environments, fight off hostile creatures, invade enemy ships and explore space stations. 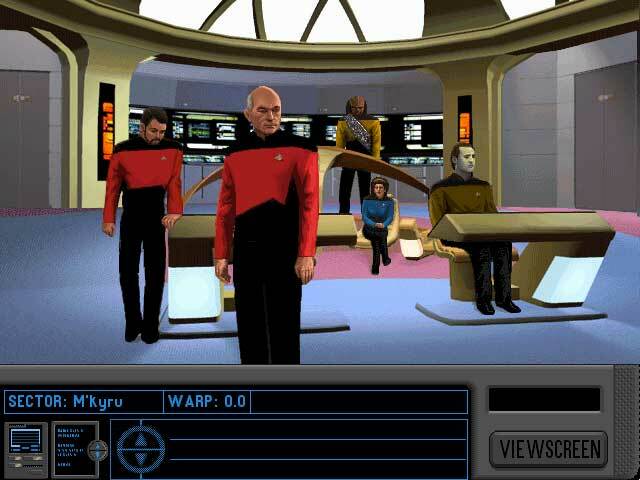 The game is considered one of the best Star Trek games of all times, and I personally find it a great shame that there are no more high quality games being made in recent years on this topic. Star Trek universe is rich and provides incredible opportunity to create games in different genres that thrill the audience, both the fans of the franchise as well as those who yet might become that. So far we have seen adventures, shooters, strategy games, even MMORPG’s in this setting becoming very successful and shaping the PC gaming world. 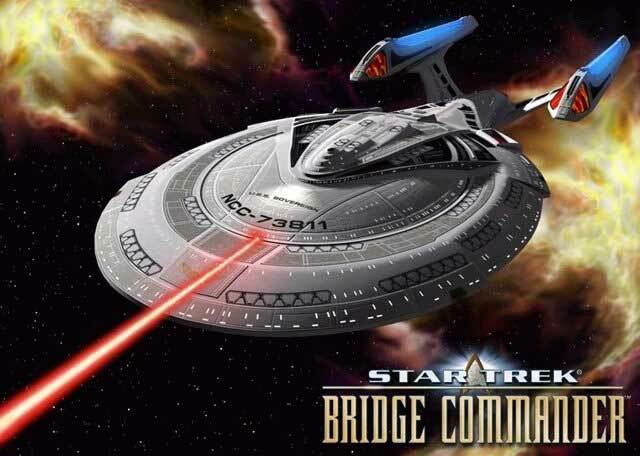 If you love Star Trek in general, these are games that you might want to check out as they are a pleasure to enjoy, deliver amazing stories and cool gameplay mechanics.